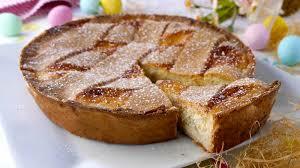 Pastiera napoletana (sometimes referred to a Wheat Pie) is a type of Neapolitan tart made with cooked wheat, eggs, ricottacheese, and flavoured with orange flower water. 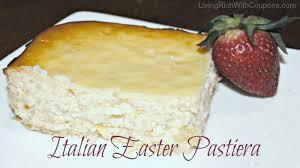 It is usually eaten at Easter. 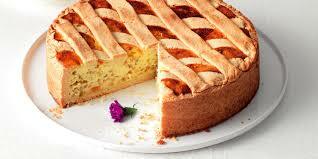 The modern pastiera was probably invented in a Neapolitan convent. An unknown nun wanted that cake, symbol of the Resurrection, to have the perfume of the flowers of the orange trees which grew in the convent’s gardens. She mixed a handful of wheat to the white ricotta cheese, then she added some eggs (symbols of the new life), some water which had the fragrance of the flowers of the spring time, candied citron and aromatic Asian spices. 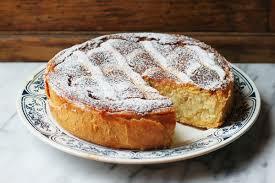 There are two different ways of preparing pastiera. 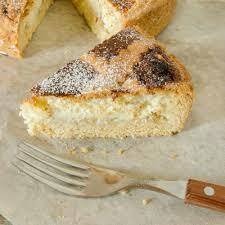 In the older method the ricotta is mixed with the eggs or with the grain. 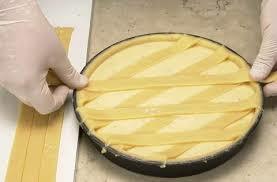 In the newer version thick pastry cream is added, making the pastiera softer. This innovation was introduced by Starace, a Neapolitan confectioner with a shop in a corner in Piazza Municipio (Neapolitan Town hall square). 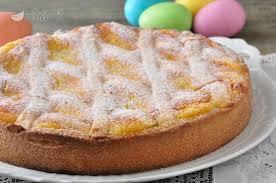 The pastiera has to be cooked some days in advance, no later than Holy Thursday or Good Friday. This is essential to allow the fragrances to mix properly and result in that unique flavor. 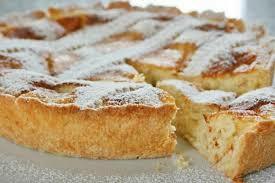 The Pastiera is not only cooked but also sold and served in appropriate pans called “ruoti”. 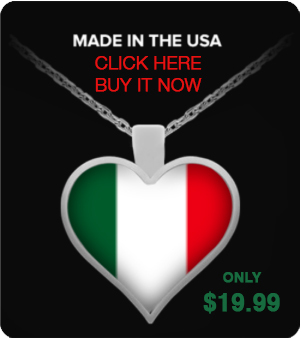 This is because it’s very fragile and would easil;y crumble if removed from the “ruoto”.